Offering a Medicare Advantage Plan? Act Now. If your organization is looking to establish a Medicare Advantage “MA” Plan or to expand its current MA Plan offerings, the time to apply to the Center for Medicare and Medicaid Services (“CMS”) is now. CMS is currently accepting applications from future and current MA organizations looking to offer MA Plans or to expand current beneficiary offerings for Calendar Year 2020 (“CY 2020”). In order to apply as a MA organization or to expand existing plan offerings for CY 2020, future and current MA organizations must submit a Notice of Intent to Apply (“NOIA”) by January 25, 2019. You must complete and submit a Part C or D Application by February 13, 2019. With the new regulations for these plans recently issued, we strongly recommend reviewing the new requirements to confirm the viability of establishing a MA plan. Some of the new requirements may impact the conclusions resulting from your original feasibility studies. We also anticipate more competition in this environment due to these changes and the continued need for flexibility and value in healthcare plans. With projected Medicare Advantage enrollment anticipated to reach its peak, beneficiary premiums on the decline, and an influx of supplemental benefit offerings, MA Plans are on the road to a promising start for calendar year 2019. However, to stay ahead of the curve, MA organizations will need to provide plan variety, enhanced quality services, and administrative excellence to their beneficiaries. Again, although there is still time to apply, time is running out to complete the application process. If your organization is in the process of starting or completing an application, let Advis assure success for your organization’s application. Is Your Medicare Advantage Plan “Up-To-Par” for 2019? Whether you are a new Medicare Advantage applicant or an existing MA plan, it is important to ensure you are in compliance with the new Medicare requirements. 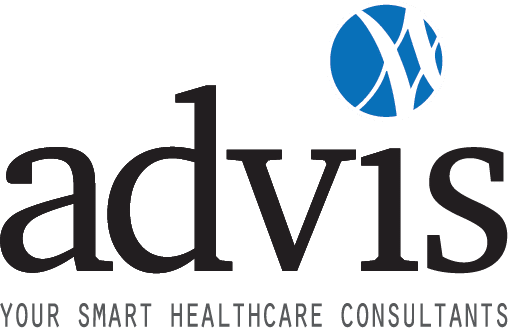 If your Medicare Advantage Plan is seeking the strategic edge or tools needed to achieve CMS’ innovation and quality initiatives in place for 2019, let your healthcare experts at Advis lead the way. Is your organization considering whether or not to apply to CMS as a MA organization? Time is running out. Contact Advis to discuss your options and get your MA application started today. 83 FR 16440, “Medicare Program: Contract Year 2019 Policy and Technical Changes to Medicare Advantage, Medicare Cost Plan, Medicare Fee-for-Service, Medicare Prescription Drug Benefit Programs, and PACE Program.” (Apr. 16, 2018). All of the Final Rule’s requirements can be found at 83 FR 16440 (Apr. 16, 2018).